Shoulder Strap Drop: Adjustable, 21"
This Louis Vuitton Pochette Metis shoulder bag is made from Monogram coated canvas with a natural leather handle and golden brass hardware. Details include a detachable strap, back zip pocket, S-lock closure, and two-compartment interior with one slip pocket. 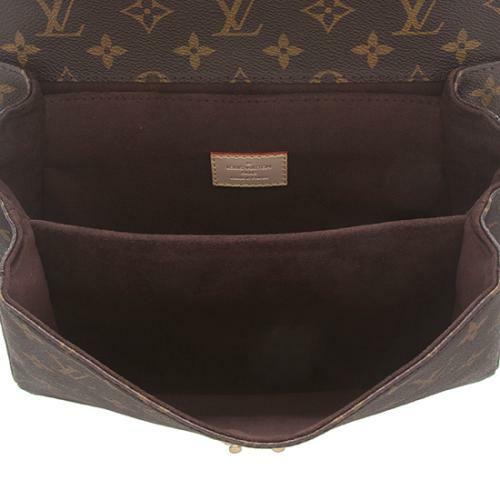 Bag Borrow or Steal is not affiliated with Louis Vuitton®. Bag Borrow or Steal guarantees the authenticity of this item. Louis Vuitton is a registered trademark of Louis Vuitton. We'll deduct 50% of your total rental fees from the $1830 purchase price of this item*. So go ahead and fall in love with it!